Beckett Boutique | King Street, Charleston, SC » The Fashion Trend That Will Make Your Jeans Jealous! The Fashion Trend That Will Make Your Jeans Jealous! 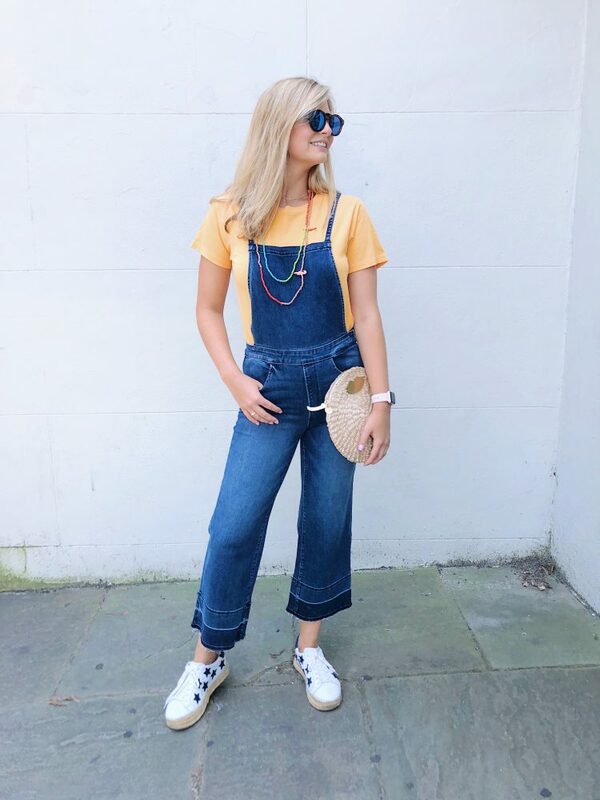 The Rachel haircut, pedal pushers, and butterfly clips may be foreign to all the millennials out there, but if Instagram existed in 1995 these trends would be racking up some major likes.While most 90s fashion trends we willingly choose to forget, we happily welcome overalls back…however with a more modern twist. Instead of reaching for that same old pair of blue jeans, an easy way to instantly elevate your summer style is with a pair of overalls. A great pair of denim overalls can showcase your style without any extra hassle. It’s easy to overthink styling this trend. A quick tip to simplify styling is to treat them like your favorite pair of jeans. As a style tool of versatility, overalls are perfect for punching up any casual summer look. Overalls are great year-round, but a cute cropped flair is an easy breezy way to beat that summer heat. The easiest way to style overalls is with a simple t-shirt for a relaxed look. Play around with fun pops color to brighten your outfit. Nothing spices up a blank canvas like a fun poppy tee. This is an easy way to add personality to your look. If bright colors aren’t your style, you could easily layer your favorite band tee under your overalls. To stay extra cool this summer, pair your favorite sleeveless blouse with overalls. This effortless ensemble makes you look extra stylish without even trying. The sleeveless shirt adds a playfulness to the outfit while still keeping you cool in the summer heat. Summertime means pool parties. 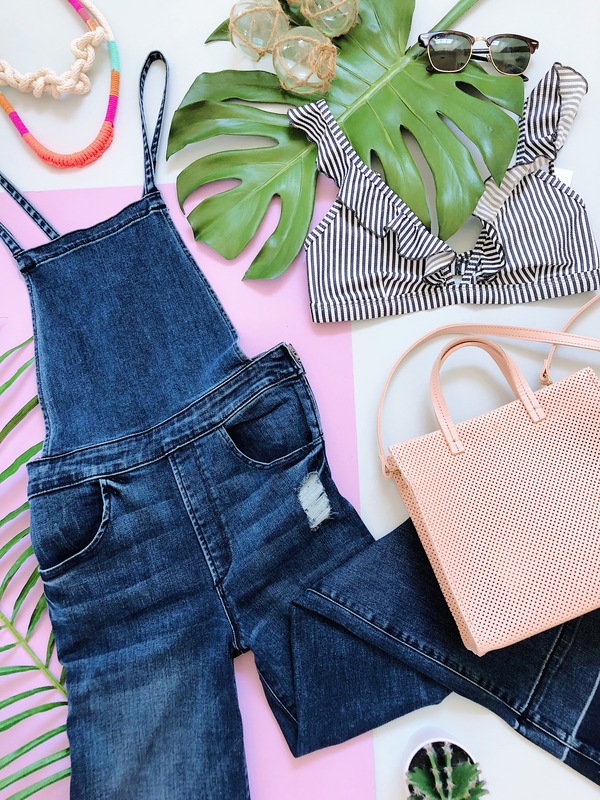 Pair your favorite bathing suit under your overalls for something unexpected. The overalls can easily become a unique cover-up. Throw on your favorite sunglasses and you are ready to go! If you want to get a little more adventurous, pair your overalls with a cropped shirt. The little peek of skin adds more sass to the outfit. A cropped shirt is a great way to dress up your overalls and make them perfect for going out with friends. Don’t be intimidated to wear your overalls out for a date night. Pair your favorite dressy blouse with your overalls and add a heel. The blouse dresses up the denim without looking like you tried too hard and the heel will give you legs for days! These looks will keep you looking fresh throughout the rest of the summer. Share your overall look with us!